The innovative designs Baby Trend has produced to meet the needs of new families have been around for more than 20 years. 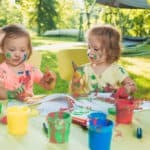 By studying the needs of families with babies and toddlers, they have been able to create carefully engineered, safe, high quality and durable juvenile products that help meet the challenges of new parents during this very happy, yet busy stage of life. 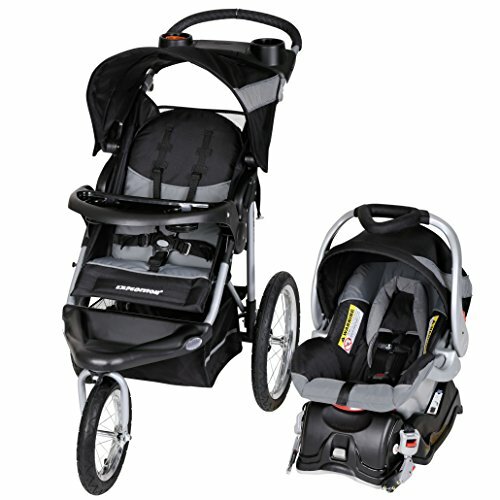 2 Baby Trend Strollers at a glance. Baby Trend strollers and other products are designed with babies in mind and meet the needs families with single babies as well as address the unique needs of two or three toddlers. Whether you have multiples or children of different ages, Baby Trend has creative products to help you with the challenges of parenthood. Baby Trend provides uniquely engineered products at affordable prices. One of their greatest assets is in their products for multiple children from the popular all-terrain strollers to their Sit n Stands. With an enormous selection of different styles of Baby Trend strollers, you’ll be likely to find the one that is appropriate for your family’s needs. Baby Trend Strollers at a glance. Baby Trend is the company behind the innovative Sit N Stand double stroller. When you have a child who is too big to want to sit in a stroller for a period of time and wants in and out often, and another child who is clearly too little to walk, then a Sit N Stand is the solution. 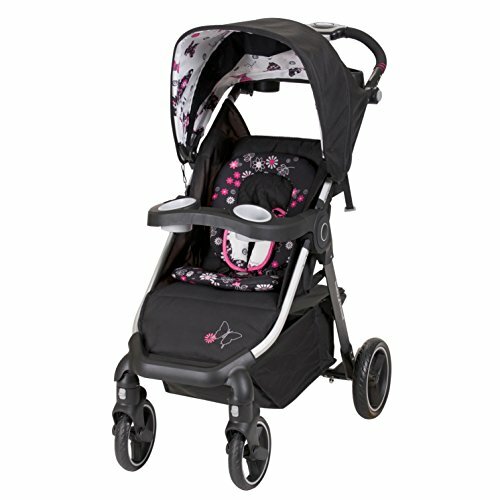 Baby Trend strollers come in several double Sit N Stand styles. One is their more basic style with a standing platform and sitting the bench in the back for the older child. The front seat accommodates most major branded car seats for infants. The more deluxe Sit N Stand models have a full back seat with canopy. The back seat can be removed to use the standing platform. Then the double sit and stand models, like the Deluxe, have a removable full back seat, but the stroller also accommodates two infant car seats, which is the perfect solution for families with twins. Customer reviews have been generally positive giving mostly high reviews. Read more about what customers say, see a couple of informative product video reviews, and learn more about the features and benefits in the Baby Trend Sit N Stand stroller review. 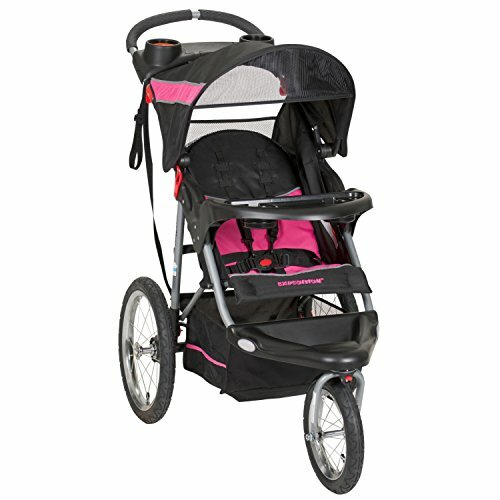 Baby Trend jogging strollers come as both single and double. The single joggers come in four models called the Expedition, Stealth, Xcel, and Range. The Expedition has been around the longest with a fairly high average rating and has been a Consumer Reports Best Buy for years. Discover more in the Expedition Review. The other Baby Trend Joggers have updated designs that look terrific and are each covered in more detail in the reviews for each at the link under the photo. The double joggers come in two models: the Expedition and the Navigator. In this case, both offer the MP3 hook-up and speakers while the Navigator has four wheels for stability and two child snack trays that serve as anchors for two car seats, turning the Baby Trend stroller into a double travel system. 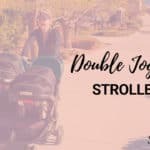 Both Expedition double and Navigator have been getting average great reviews and have been around for years as a budget-friendly double stroller option for active families. Pairing a single or double stroller, a jogger or a Sit N Stand with a Baby Trend Flex-Loc infant car seat with base gives you the complete travel system. Choose from many attractive colors and patterns for joggers, urban 3-wheelers, reversing seat stroller (as shown in the photo) and Sit N Stand models. 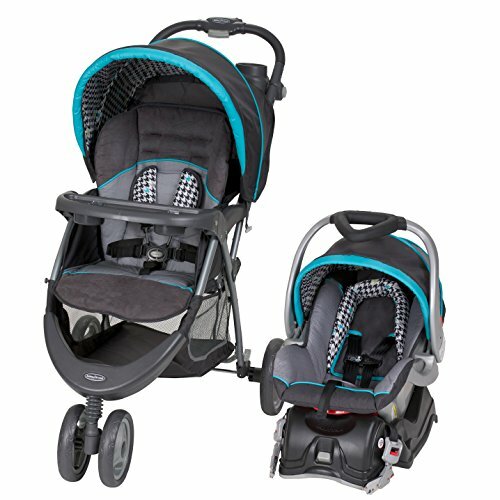 Parents love the coordinated look of a Baby Trend travel system and the budget-friendly price! Reviews about the travel systems have been generally positive, improving greatly over the last few years, mostly for the issue of quality. Parents generally like the easy assembly, but sometimes it’s difficult to open the box upon delivery. 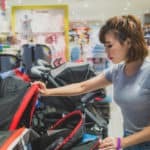 Once the stroller is assembled, remarks about how easy it is to install the car seat are repeated throughout, across different types of Baby Trend strollers. Sturdiness and good maneuverability come across repeatedly throughout reviews. Some have poorer reviews, like the Venture Travel System, and one complaint across several Baby Trend travel systems is difficulty folding the stroller. But overall, most products have received between high marks, which is an outstanding average for a company offering such a wide selection. Learn more about each Baby Trend travel system in the review. 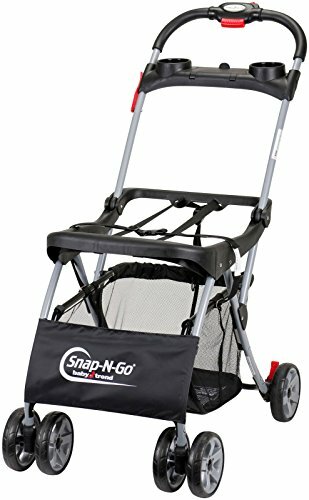 One of the simplest, most lightweight and convenient Baby Trend strollers you can get is a Snap N Go car seat frame stroller. Simply install your car seat and voila, you have a travel system. You’ll love the fact that this stroller frame can accommodate most major car seat brands such as Graco, Chicco, Evenflo and of course Baby Trend infant car seats. The Snap N Go is also available in the double size to take two infant car seats. Some popular features include a parent tray and cup holders and a large storage basket and a reliable braking system on the back wheels. 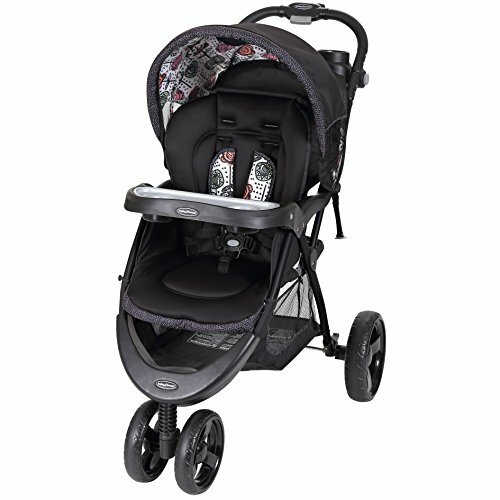 Outstanding features without the travel system bulk! A vast majority of Snap N Go owners give this stroller frame rave reviews. Parents rave about the convenience and compact size as well as the ample storage. In addition, Consumer Reports gave the Snap N Go a Best Buy rating with excellent marks for ease of use and maneuverability and a very good rating for safety. A basic lightweight umbrella stroller that gets the job done, the Baby Trend Rocket is functional with features both mom and child enjoy. Weighing just about 13½ pounds, the Rocket holds your growing child up to 50 pounds. It has all the basics: an adjustable 5-point safety harness, footrest, a storage basket, and a canopy. This stroller does not have a reclining seat – it is only one upright position. The compact fold is convenient for tight spaces and overall smallness of the stroller makes it a great option for travel. It’s easy to do, as well. An extra feature you will appreciate is something not many basic umbrella strollers have: a parent storage zippered compartment with two cup holders! Reviews give this stroller high marks for the convenience and lightweight. Some negative remarks are made about squeaky wheels that can be stiff sometimes – like they don’t roll as easily as they should. But those are few and far between the raves. The Rocket comes in two colors – the black one shown and a red one. Get the Red Rocket for a better price at Target, but otherwise, you can get a great deal on Amazon for the black. 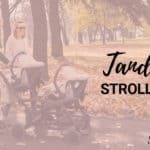 One of the newer strollers in the Baby Jogger line, the TriFold Mini has a sleek and compact design popular with many products coming out recently. The TriFold reminds me of the GB Qbit LTE stroller, but for half the price. The TriFold Mini weighs only 10 pounds and is named after its unique fold that collapses into an incredibly small size. Included is a carrying strap for your transport convenience. 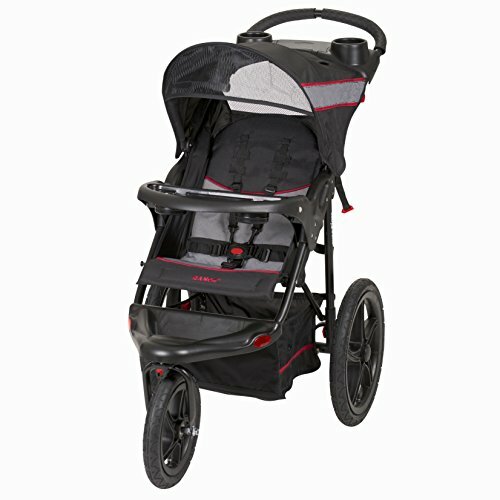 Plus it’s one of the nicest looking budget lightweight strollers under $100! Other features include an adjustable leg rest, padded 5-point safety harness, multi-position seat recline and a generous sun canopy with a mesh panel peek-a-boo window. Parents get a good size storage basket for such a small stroller, foot-activated rear brakes, single wheels with excellent maneuverability and an ergonomic handlebar set high enough for your strolling comfort. 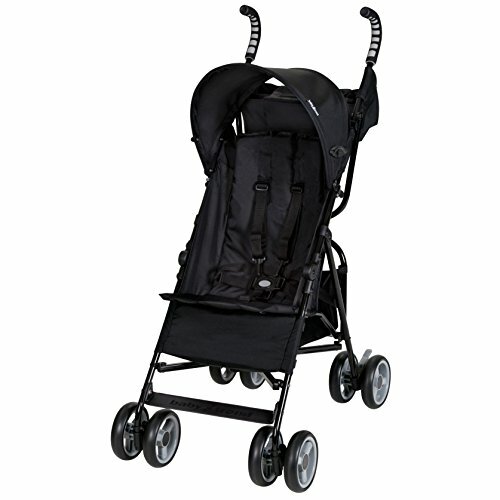 Because this stroller does not recline flat, it is recommended for infants six months and older. However, the adjustable leg rest does flip up to give some additional enclosure for smaller babies. The TriFold Mini is designed to hold your child up to 45 pounds. So far reviews have been excellent with overall pretty solid ratings for the compact fold and travel convenience. Customers like the wheels and maneuverability, saying the wheels are more rubbery than hard plastic, which helps smooth out the ride. A lovely little lightweight three-wheel stroller, the Tri-Flex is basic, yet stylish. 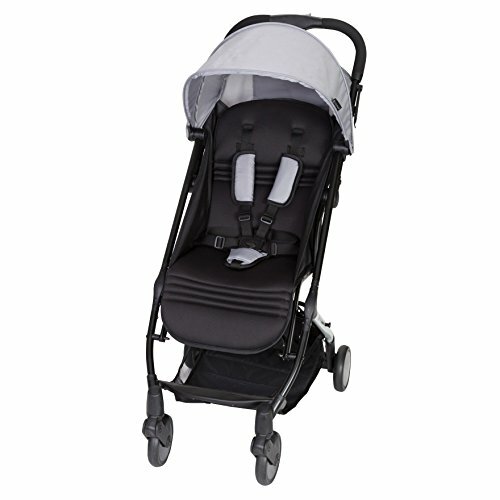 It has everything you need for your baby’s comfort and features for you that make it a pleasure to push. Weighing almost 22 pounds, the Tri-Flex has a carrying capacity of 50 pounds. I like that it has a child’s snack tray and a padded 5-point safety harness. The padding on the seat looks really comfy. It has an adequate sun canopy with a peek-a-boo window at the top, and a multi-position reclining seat, though the seat does not recline that far deeply. The Tri-Flex does accept a Flex-Loc car seat if you want to use this stroller as part of a travel system, but they are not sold together. Parents, you enjoy an adjustable-height handle for your strolling comfort and a decent-size storage basket beneath the seat. The brakes are two-step over each wheel, but the fold is a one-handed fold with a frame lock to keep it together. You also get a covered parent tray with two cup holders. Heftier than the Tri-Flex, the Baby Trend Quad-Flex weighs 28 pounds and holds your child between 5 up to 50 pounds. 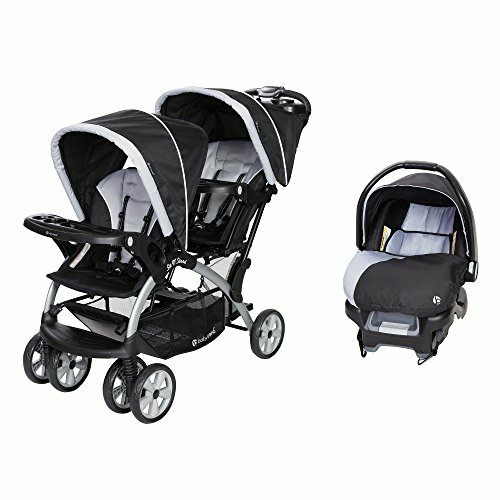 Also stylish, it has lots of features for both parent and baby and has a combined 4-star rating across different web retailers for sturdiness and smooth ride. A few reviews mention how much they like the adorable pattern and how it looks with the Flex Loc car seat (sold separately) installed as a travel system. Features on the Quad-Flex include a multi-position reclining seat with the padded 5-point safety harness. The seat also includes a deluxe padded body insert for extra support and comfort. Baby gets a snack tray with two cup holders. Your baby is effectively shaded with the sun canopy that opens up an extra mesh panel for fresh air flow. Parents, you get to enjoy an ergonomic adjustable-height handle for strolling comfort along with a covered parent console that has two cup holders. A large under-seat storage basket holds all your necessities and you can even access it when the seat is fully reclined! A zippered enclosure compartment within the basket conveniently holds smaller items. Folding and unfolding are easy and the stroller comes together relatively compactly for the size. Umbrella Stroller vs Regular Stroller: How Light Should You Go?